Students, staff and community members gathered in the Blackville School gymnasium on Monday, May 28 for the annual Recognition Day. Highest standing for both Middle School Language Arts and Math went to Ashlyn Moody and Most Improved Middle School Student is Morgan Peterson. 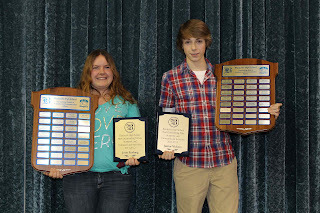 Middle School Male Athlete of the Year is Connor Donovan and Middle School Female Athlete of the Year is Riley Luce. The Kathy McCormack Award, recognizing athletes who are great school ambassadors, went to Abby MacRae and Brody Dunnett. 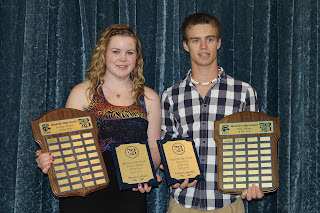 Dallas Underhill received Male Athlete of the Year while Female Athlete of the Year is Mandy Colford. Most Outstanding Academic and Extra-curricular Awards went to Junior Vickers and Josie Furlong.